This book describes the affinity of one man with the Arabian horse. It focuses on the tragic death of his father, his early upbringing near a racetrack in Los Angeles, and his move out into the country of Oregon where he began his lifelong journey of faith and close relationship with Arabian horses. Matthew Peters struggles to find himself. When his mother accedes to his wish to acquire a horse, Matthew meets a neighbor named Mike Chapman who appears to know a lot about horses and how to raise them. Mrs. Peters notices a strangeness in Mike; she discovers Mike’s tragic divorce and horse farm bankruptcy. 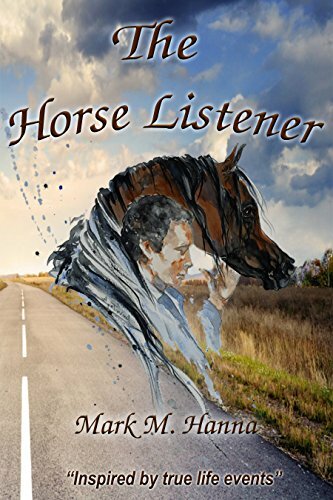 The author tells his story partly as a faith journey, partly as a spiritual partnership with the horse, and also as a memoir of determination and courage. There are plenty of tips concerning effective horse training. This story tugs at the heartstrings. For anyone who raises horses or wishes to have the opportunity to do so, the powerful bond described here is appealing and inspiring. Hanna includes spiritual references, though he does not try to preach or convert. This book is recommended for middle-grade readers, young adults, and adults.